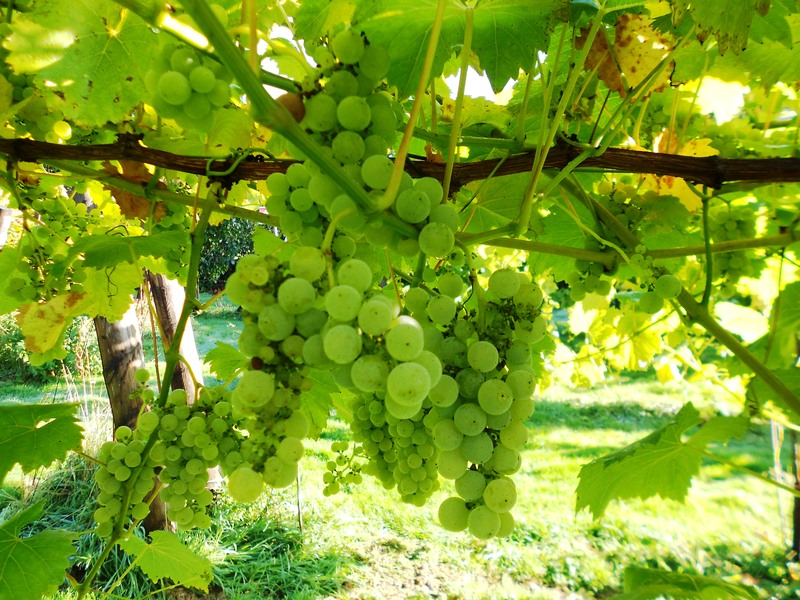 Rothley is rich in geological variation and the vineyard has a loamy, sandy soil on a sheltered south facing slope giving unique character and crisp flavour to the grapes which are trodden in the traditional manner by local peasants, well, friends and volunteers. 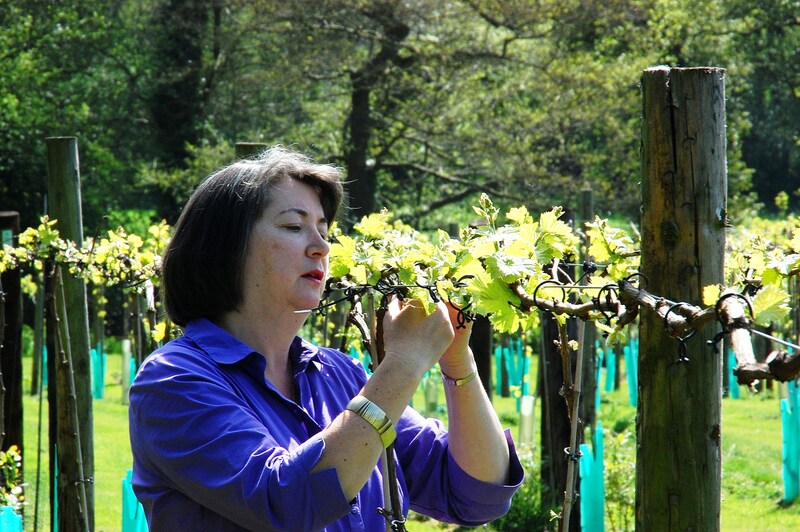 The 1200 vines are mainly planted on a double Sylvos trellis system. An adaptation of this is the “Kingfisher Curtain” trellis system which won the MVA David Stanley Award for innovation in 2012, and encouraging layering vines while they are bearing fruit. We only use chemicals, such as fungicides, when there is a definite need and we never use insecticides. We use weed killer sparingly, when the vines are dormant from November to March and are using grass as a natural weed control. An agronomist carefully supervises our foliar feeding programme.